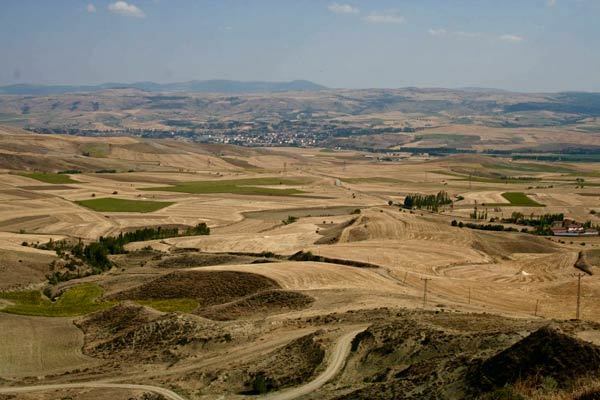 John Haldon Lecture: "St. Theodore, Euchaïta and Anatolia, c. 500-1500 CE: Landscape, Climate and the Survival of an Empire"
Join the Medieval Institute for a lecture by Professor John Haldon of Princeton University; a reception will follow the lecture. Haldon is Shelby Cullom Davis ’30 Professor of European History and Professor of Byzantine History, as well as Director of the Mossavar-Rahmani Center for Iran and Persian Gulf Studies, at Princeton University. He is a member of the Austrian Academy of Sciences and since 2016 has been President of the Association Internationale des Études Byzantines. Since 2009 he has been Director of the Graduate Studies Program within the History Department at Princeton. A Byzantine/medieval historian, his research focuses on the history and archaeology of the early and middle Byzantine empire, in particular during the period from the seventh to the twelfth centuries; on state systems and structures across the European and Islamic worlds from late ancient to early modern times; on the impact of environmental and climate change on pre-modern social systems, especially in the eastern Mediterranean and Balkan regions; and on the production, distribution and consumption of resources in the late ancient and medieval world. He is Director of the Avkat Archaeological Project in Turkey and Director of the Climate Change and History Research Initiative, supported by the Princeton Institute for International and Regional Studies.